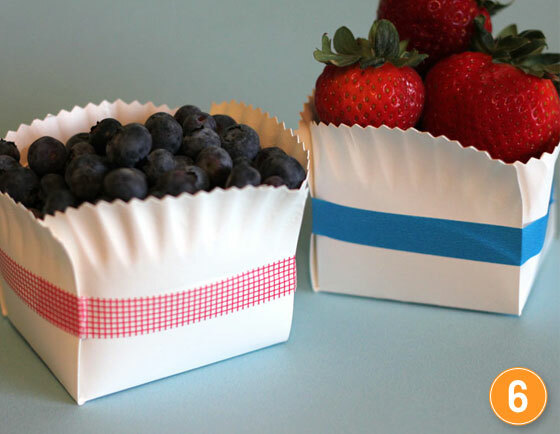 Sarah Hearts created these cute berry baskets using plain white paper plates. Cute, easy, and inexpensive. Perfect for the end of season berries or you can use them to hold other treats too. They would even be a fun party favor box. You can check out how to make your own paper plate baskets over at Sarah Hearts Design Studio. What a great transformation! So cute! Thanks for sharing my paper plate baskets!